IF there is one subject that was bound to distract politically-minded people in these troubled times it is the state of English football, particularly after England’s second major exit in a matter of days. It was a genuine privilege to be asked to speak at an event hosted by the Lewes Labour Party that coincided with the launch of the excellent book, 1966 and not all that, edited by Mark Perryman. Obviously, with England’s latest implosion fresh in the memory, the 2-1 defeat at the hands of “little” Iceland, there was a bit of soul-searching about the structure and future of the game in Britain, especially as Brexit now hangs over the nation. I was asked if our expectations of the England team were unrealistic and if the success of 1966 and the semi-finals of 1990 and 1996 were in fact “blips”. I have long felt that these were indeed unexpected peaks in an otherwise average international record. England was, indeed, the cradle of the game and the gap with continental Europe was significant in the early 20th century. When England played abroad, notably in central Europe, they pulverized the opposition. But between the pre-WW1 and post WW2 years, the dynamic changed. While England was wallowing in its football equivalent of splendid isolation, its expatriate coaches were helping to spread the word of Association. Englishmen and Scotsmen played their part in the development of football in central Europe and the coffee houses of Vienna, Budapest and Prague gave birth to a new footballing ethos. Of course, we knew very little about it in England, because we were isolated and parochial. We didn’t enter the World Cup until 1950, so we were deprived of the chance to test our mettle in competitive football. We continued in blissful ignorance until the 1950s when first the USA and then Hungary gave us what David Goldblatt called our “Suez moment”. England failed to make an impact in any World Cup until 1966 and then in the years that followed, became a “last eight” nation – when we qualified, that is. 1973 should have been our second wake-up call when Poland drew 1-1 at Wembley to knock us out of the World Cup. 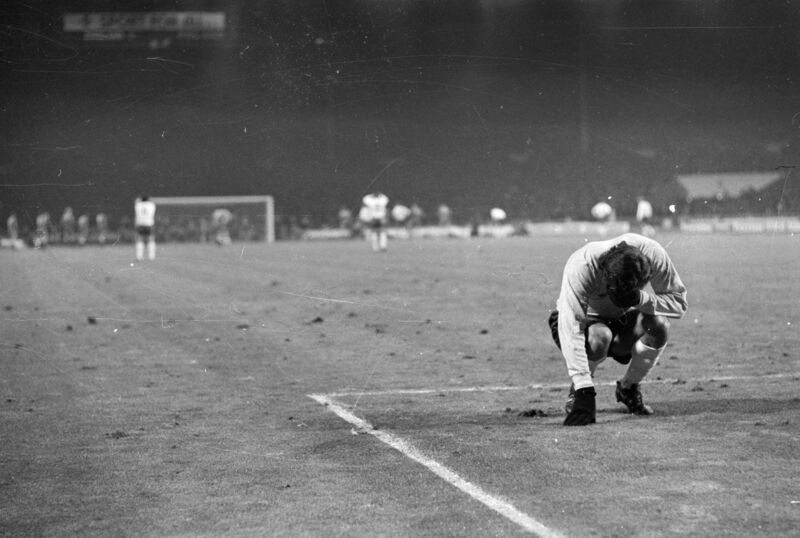 That the Poles finished third in 1974 should have told us something, but we have all too easily explained away failure to qualify as the result of an exemplary goalkeeping performance – “the clown” and all that. The decline of England as a force has continued since 1973 and we are now faced with wake-up call number three: Iceland. It remains to be seen if it is acted upon. You cannot be confident of that, because we didn’t really respond to the other two. There is a school of thought that 1966 was a result of 1953, but I think it had more to do with being the host nation. I do not consider, for one moment, that England would have won the competition if it had been held anywhere else other than on this sceptered isle. In 1973, we certainly didn’t learn from the Poles, Dutch and Germans that were playing their own brand of football. We didn’t qualify for the 1978 World Cup either and had made a mess of Euro 1976 when we were beaten by another overlooked nation, Czechoslavakia. There is a pattern here of not really taking central and eastern European nations too seriously – or is it an arrogance that refuses to recognise the efforts of anyone other than the obvious big names in international football? Although some people will deny that England, mighty nation it may be, can learn from a minnow, it is clear that the age of the technician democracises football to a large extent. England will be far more comfortable “learning” from a heavyweight like Germany and so this is where we should be looking right now. My view is that English football has become too “transactional” and short-term in its outlook. We never seem to plan for any form of dynasty to develop, even though almost every manager appointed by the big clubs is supposedly given the mandate to build just that. It’s lip service, though, for the average shelf life of a manager is very short. And the same applies to the England job. If you look at Germany, you can see that succession plays a big part in their planning. For example, Sepp Herberger was succeeded by Helmut Schoen and he subsequently stood aside for Jupp Derwall. And if you look at the current set-up, Joachim Loewe was the number two to Jurgen Klinsmann. As my fellow panelists, Stuart Fuller and Mark Perryman pointed out, Germany’s World Cup winners were nurtured from youth and under-21 football and were all part of the regeneration launched by the DFB after a series of disasters. In England, everything crashes and burns and we wring our hands! The Premier, which may be the richest league and most glamorous, still fails to produce enough players to give England a decent national team. Moreover, the top teams are no longer very competitive in European competition. But it’s like opium, is football. We all know what’s wrong with it, but like leemings, we head towards the cliff at breakneck speed. We all have a vote and after all, buying football tickets is an act of discretionary spending. We don’t like paying through the nose for those tickets, but we still do, because we are afraid of missing something fantastic. The very essence of football. It’s good to have open dialogue on the subject, though, and the game could do far worse than encourage the sort of event that was hosted in Lewes this week. It almost restores your faith! Next Entry All set for the San-Sino?